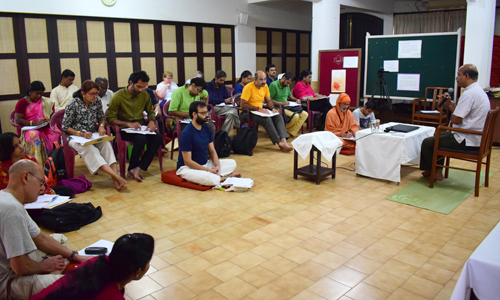 Sri Aurobindo Foundation for Indian Culture (SAFIC) announces its second-level Sanskrit Intensive Course to be held in Puducherry from May 20 to 25, 2019. The course is open to all those who have already attended the Level I of SPANDANA and all those who have a background of Sanskrit and would like to widen their understanding. Spoken Sanskrit: Daily one session of 1.5 hours each for five days. Introduction to the Basics of Sanskrit Grammar: Four sessions of 1.5 hours each. Chanting and Singing of Sanskrit Mantras, Shlokas and Songs: Daily one session of 1 hour for five days. 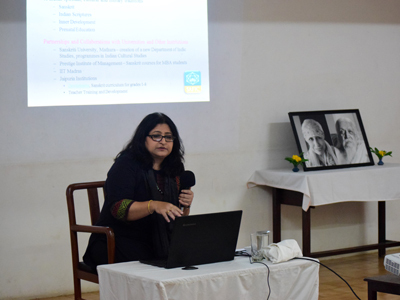 Storytelling, Dialogues and Nursery Rhymes: Two sessions of 1.5 hours each. Introduction to Sanskrit Chandas or Metres: One session of 1.5 hours. Activities: Three sessions of 1.5 hours each. 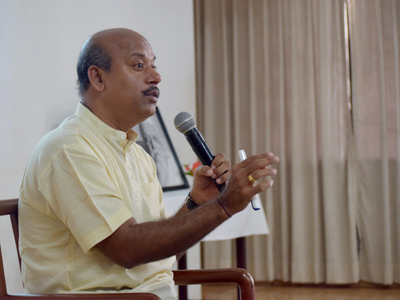 Introduction to the Treasure Troves of Sanskrit: Five sessions are dedicated to introduce the Vedas, Upanishads, Ramayana and Mahabharata, Kalidasa, Bhartrihari and other classical poets, and Panini, the architect of Sanskrit grammar. Subhashitas: This session aims at explaining the nature of Subhashitas, the history of Subhashita literature, the teachings contained in the Subhashitas, and examples from various Subhashita literature.